Static Floorplans: floorplans can be exported in a PDF format that can be more easily distributed. Static floorplan PDF's can be added to company websites, printed, emailed to other employees, etc. 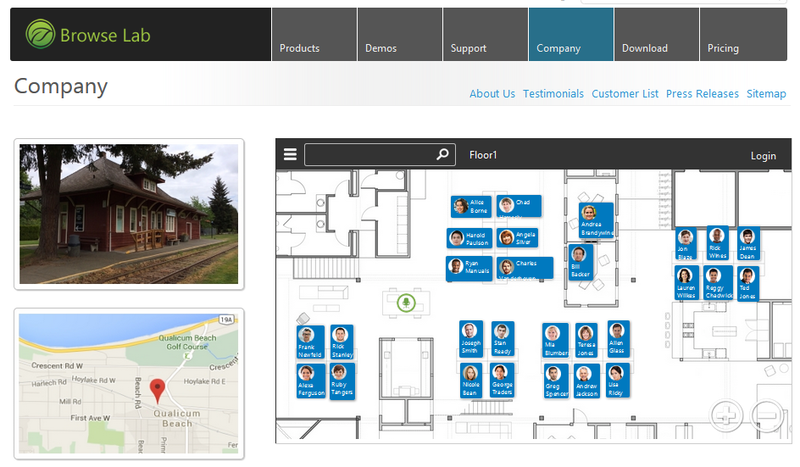 Embedded Floorplans: dynamic staff floorplans can be embedded into a company website, intranet, etc. via an iframe.